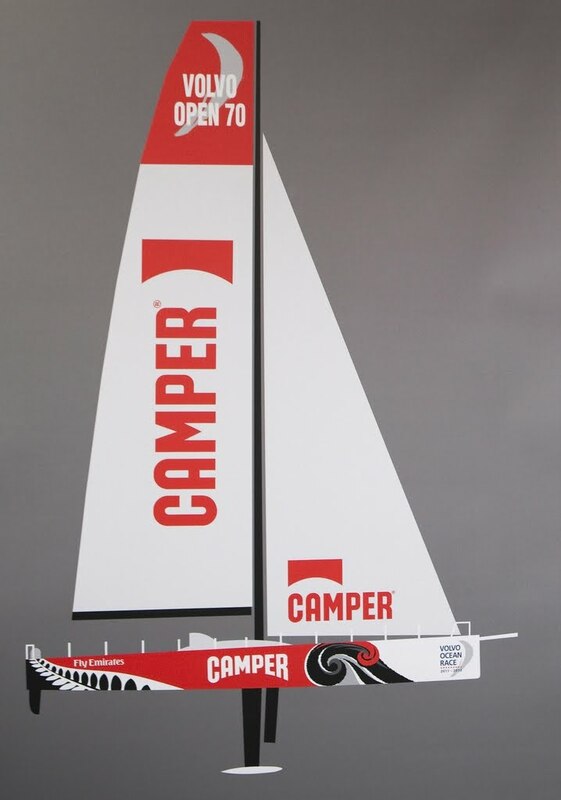 Camper, the Spanish-based inter-national footwear brand, announced today that it will compete in the Volvo Ocean Race in 2011-12. The campaign will be run by Emirates Team New Zealand. The yacht will be called Camper and will carry the burgees of the Royal New Zealand Yacht Squadron and the Real Club Náutico de Palma. Camper is a family-owned company which started making shoes on the Spanish island of Majorca in 1877. Today Camper operates directly 320 stores and “shop-in-shop” locations in 42 countries and distributes its products through 2800 independent retailers. After 133 years Camper is still a family-owned company where creativity, quality and craftsmanship remain at the heart of the people. Estanislao Carpio - Chief Operations Officer of Camper ©Nico Martinez The Volvo Ocean Race starts in Alicante, Spain, in late 2011 and will finish in Galway, Ireland, in mid 2012. Stopover ports are Cape Town (South Africa), Abu Dhabi (United Arab Emirates), Sanya (China), Auckland (New Zealand), Itajai (Brazil), Miami (USA), Lisbon (Portugal) and Lorient (France). In announcing the Volvo Ocean Race project, Camper said: “Competing in the Volvo Ocean Race 2011–12 motivates Camper to continue innovating its products and strengthen its presence around the world”. “The history and the authenticity of the race, the human adventure, the effort, the desire to improve and the teamwork fully fit the Camper values. “The Mediterranean as a territory and as a culture has always been at the centre of the Camper image. From Alicante this round-the-world race will be, without a doubt, a strong source of inspiration for the future of a brand that walks with imagination. “For us it is a privilege to take our first steps in the Volvo Ocean Race together with Emirates Team New Zealand, undoubtedly one of the most prestigious professional sailing teams in the world. 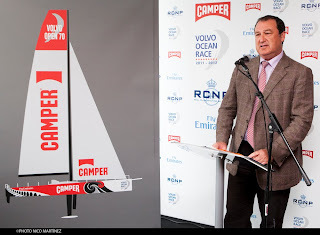 Emirates Team New Zealand managing director Grant Dalton says the team has the capacity to integrate a Volvo Ocean Race campaign with its commitments to the Louis Vuitton Trophy regattas, the Audi MedCup 2010 and the next America’s Cup. “There is some certainty in the America’s Cup following BMW Oracle Racing’s defeat of Alinghi. It’s apparent that with the timing of the America’s Cup, either 2013 or 2014, ETNZ can comfortably integrate a Volvo campaign into its operations. Grant Dalton said a Volvo Ocean Race campaign was a natural fit for the team. “Our objective was always to diversify, once the team had re-established its credentials, as a means of keeping our people busy, focused and creative. “With Louis Vuitton, the team started the Louis Vuitton Trophy, Dean Barker and the team campaigned successfully on the Audi MedCup TP52 circuit last year and now we have a Volvo Ocean Race campaign to organise from scratch.